Solar power is no longer merely an alternative energy source. Due to its environmentally friendly nature and cost effectiveness, leading companies and savvy consumers are both viewing it as the most forward-thinking source of energy. Many Fortune 500 businesses have committed to long-term policy shifts that will focus on solar power, and these financial outlays are driving the changing trends in the industry. Here is a guide to the top solar power trends of 2015. Total photovoltaic (PV) solar panel installations increased from 140 gigawatts in 2013 to 177 gigawatts last year. This means that the entire world boosted its overall solar power usage by 26 percent in one year. Since 2008, overall solar panel deployment has spiked by a factor of ten! From 2012 to 2014 alone, installations almost doubled. Analysts forecast another 25 percent rise in 2015, and the increases will continue to expand. The primary explanation for the explosion in solar installations is that many governments are offering incentives to businesses for these green-friendly initiatives. 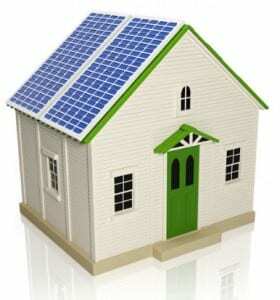 The benefit of using PV solar panels for your home is worth investing in and will save you money in the long run. There are obvious advantages like lower utility bills and reducing your carbon footprint, but there are other benefits as well. Setting up a PV system is relatively simple to maintain and can last for over 20 years. You can also take part in government subsidies which can drastically reduce the initial investment cost. Companies like SolarCity, who recently partnered with Google in 2011, offer reliable solar panels to home owners that have a sleek design which can complement a variety of architectural styles. The company also offers different payment plans that will best suit your budget and make it easy for residential users to switch to solar panels. Over the past few years, the Chinese government has decided to commit to this technology. In the process, they’ve forced other countries to match their efforts or get left behind. China’s solar manufacturing process is so good that European solar companies feel the pressure to reduce the prices on their products. Many countries are levying significant tariffs on Chinese solar panels to protect their local businesses from having to take losses on their own solar goods. hat its paneling alone outnumbered the entirety of installations in all of Europe. The country’s dedication to solar power is influencing the entire world’s decision-making. Simultaneously, the entry price for using solar paneling is diminishing at an exponential rate. Four years after its initial deal with SolarCity, Google created an even better initiative for potential solar panel adopters. Their leasing program removes all upfront expenses from PV acquisitions by providing homeowners with the necessary equipment. The companies work with customers to determine their current utility outlay, then offer a better deal for their solar power systems. The customers drop their previous provider to save money while using environmentally friendly power instead. It’s a double win for the client, and the energy provider gains a viable business model that expands its customer base while returning set business revenue each month. This trusted business leasing program may become an integral part of the future of PV installations. While companies like Google mine the leasing market, consumer loans for solar products are also soaring in popularity. Informed consumers understand that they can actually make money long-term through solar panel deployment. The reason they haven’t adopted yet is the cost of the hardware itself, which can be over $10,000. Driven by this knowledge, several businesses within the industry are offering solar loans for their own products. It’s a clever type of vertical integration since the companies receive payment for their products and services. Plus, they earn revenue via loan amortization. Interest earnings that would otherwise go to a bank become an additional part of solar deployment revenue. The future of PV installations is indescribably bright. People across the world in all fields of industry understand that renewable energy represents the future of power services. This year may prove to be the tipping point for hallmark change in solar deployment.